What does U-Value in Windows Mean? 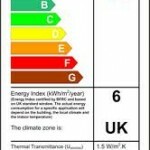 DON'T GIVE UP ON YOUR CONSERVATORY! 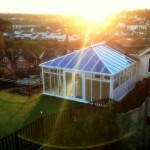 Exe Conservatory Repairs may be able to refurbish or repair your conservatory. We have turned ten year old conservatories into rooms our customers now use more than ever! We have a wide range of options from a simple repair to a whole replacement roof in effect turning the conservatory into a liveable extension! Did the snow damage your conservatory? If so we may be able to help and prevent it from happening again.